The sun setting on Tornagrain. 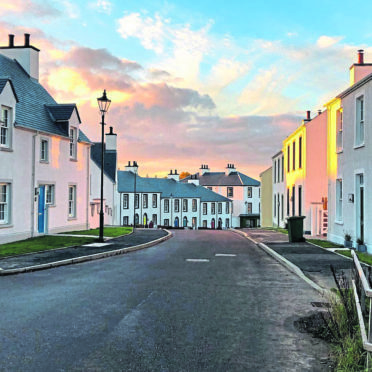 A little over two years ago, history was made when the first showhome at the new town of Tornagrain, on the eastern outskirts of Inverness, opened its doors to welcome in prospective buyers. The huge number of people viewing took everyone by surprise as word quickly spread that this was no ordinary showhome, or indeed no ordinary development. That was the first step in what developer Moray Estates hoped would become a new town, one that would eventually, over several decades, be home to just under 5,000 properties. Alan Donaghy and Jean Sutherland at their home in Tornagrain. Picture by Andrew Smith. Those first viewers found themselves in an area that, at that time, looked very much like a busy building site set within a lovely rural area. Two years on, and Tornagrain now looks very much like a long-established, very pretty village. A vast array of different types of homes have been built, with 86 of these already occupied and a further 31 reservations awaiting completion. There are distinct streets and green areas, while gardens are full of established plants and flowers. What is still striking about Tornagrain is that, because of its layout and design, which means every house is different to its next door neighbour, it doesn’t feel like a village full of new-build homes but one that has been here for centuries. 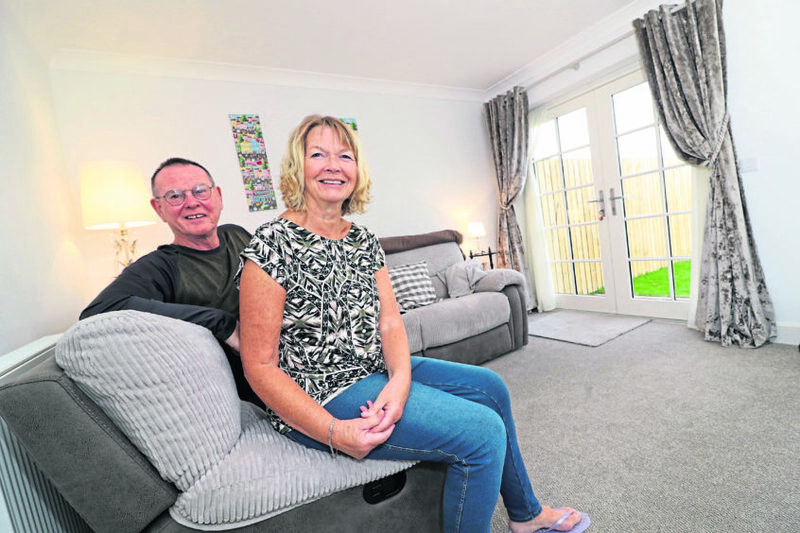 Among the first people to move here were Alan Donoghy and Jean Sutherland, who live on Hillhead Road, and say they are very pleased to have settled in. “We chose the Etive-style house by builder A&J Stephen ‘off plan’ and the finished property did not disappoint,” said Alan. “The external and internal finishing is of a very high standard and the after sales and customer service has been excellent. “The house itself is well laid out and is well insulated which was important factors for us; and it’s been great cultivating the rear garden which is becoming established now. “The village is ideally situated for us being mid-way between Inverness and Nairn and there is a regular bus service from our street to both towns. 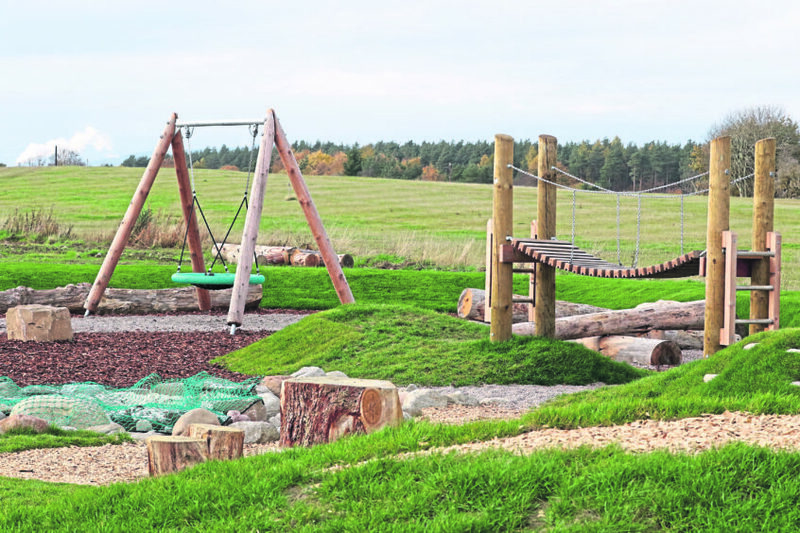 “Facilities here are developing, too, with many pleasant and safe walking spaces close by and a newly opened adventure play park and nursery for the children. To get the full picture, you really have to visit Tornagrain in person. The streets have a mixture of house types ranging from one-bedroom apartments to terraced, semi-detached and large detached homes. 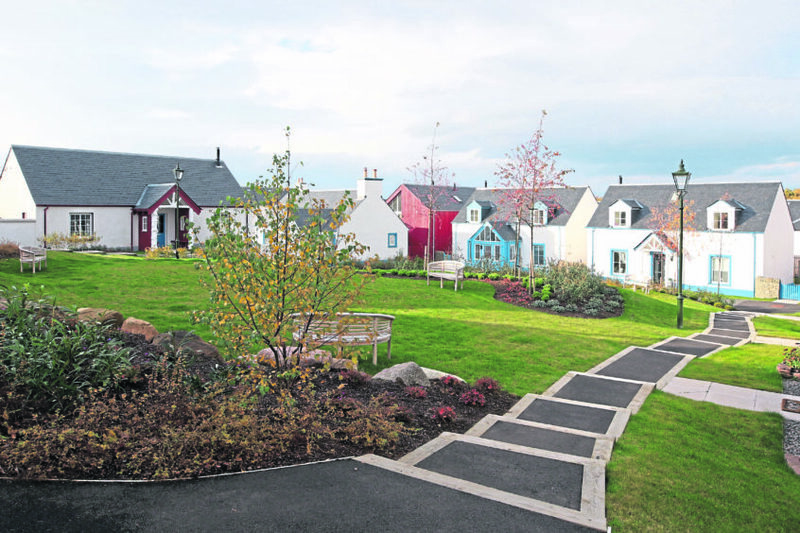 Moray Estates’ aim from the start was to give those living here a real sense of community, and with that in mind, the village has a host of unusual features. For example, no home is more than five minutes’ walk away from a “neighbourhood” area, one which would perhaps house a newsagent or small convenience store, while every home will be less than 10 minutes’ walk to the High Street, leisure amenities, town park, woodland walk or tennis courts. Libraries, churches, healthcare facilities and community halls all form part of the blueprint for the area which is surrounded by established woodlands and has paths which allow residents to take full advantage of the rural lifestyle on offer here. Eventually, Tornagrain will be home to three primary schools and a secondary school; the first primary school should be delivered at the end of Phase One. The playpark. Picture by Andrew Smith. Since the formation of the village, several babies have been born to residents. These children will no doubt make full use of the new play area which has opened next to the tennis courts. The village also has its own outdoor nursery which is now fully operational. 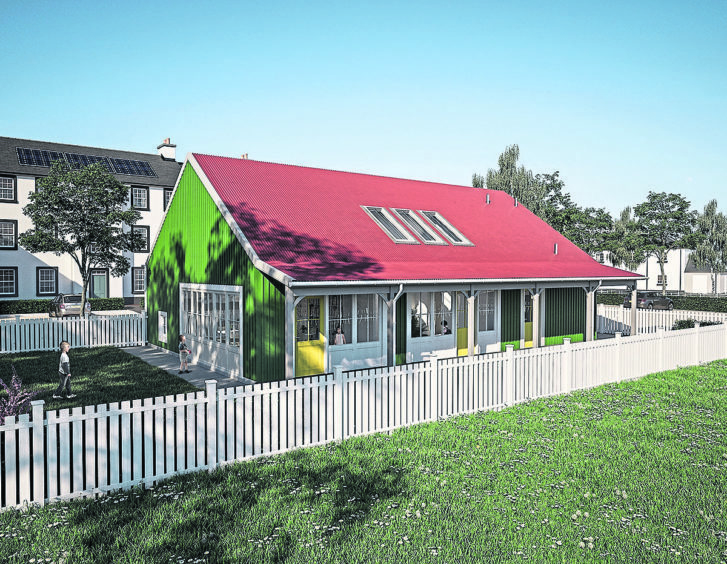 And when the Stramash Outdoor Nursery moves in to its permanent building next spring, it is looking to be the first outdoor nursery in the UK to take youngsters from newborns to two-year-olds. Other features residents can look forward to include a cafe, in the neighbourhood centre on Hillhead Place, a space for community gatherings and allotments which will be ideal for keen gardeners. 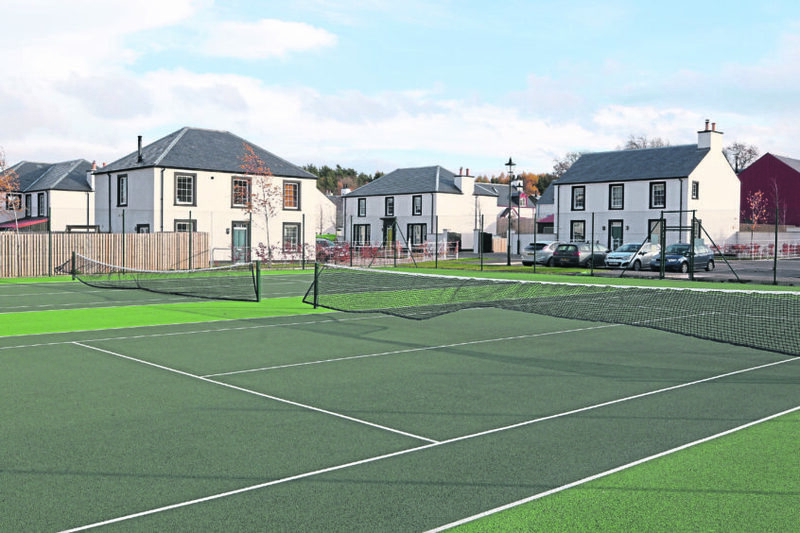 A number of residents head to the nearby community of Croy to play bowls, but in due course they will have their own short-mat bowls area in the village. Plans are afoot to add a new railway station close by in 2019 which makes it ideal for those looking to commute, while its easy access to the airport means that in the not too distant future you could be enjoying a mini-break in London or jetting off to the sun from your own doorstep. Such has been the popularity of homes here that all Stephen Homes have been sold. They will be releasing further one-bedroom apartments, two-bedroom detached bungalows, two and three-bedroom semi-detached villas and three and four-bedroom detached homes in the near future. Tennis courts at Tornagrain. Picture by Andrew Smith. For details of these contact sales advisor Andrea Mitchell on 07808 773135 or email andrea.mitchell@stephen.co.uk. The marketing suite at Tornagrain is open from 11am-5pm, Thursday to Monday. Homes created by house builders Zero C have also been snapped up and they have just one home for sale that’s ready to move in to. But they are taking reservations for properties ranging from two-bedroom apartments priced from £137,000 to two-bedroom coach houses and semi-detached houses; three-bedroom semi-detached and terraced houses to four-bedroom detached homes with garage priced from £310,000. For more details on Zero C properties email sales@zeroc-tornagrain.co.uk or phone 01463 830490. Tornagrain is reached via the roundabout on the A96 which also gives access to Dalcross Airport on the outskirts of Inverness, and is a short drive from both the city and Nairn.